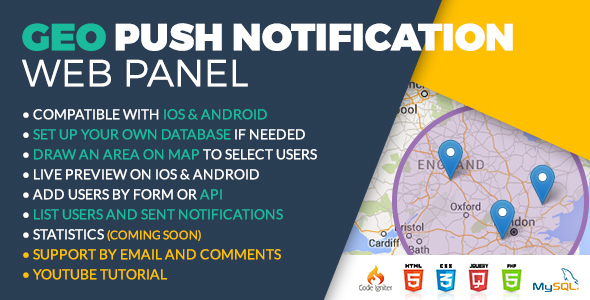 Do you want to send push to your users? Buy and install this simple panel! 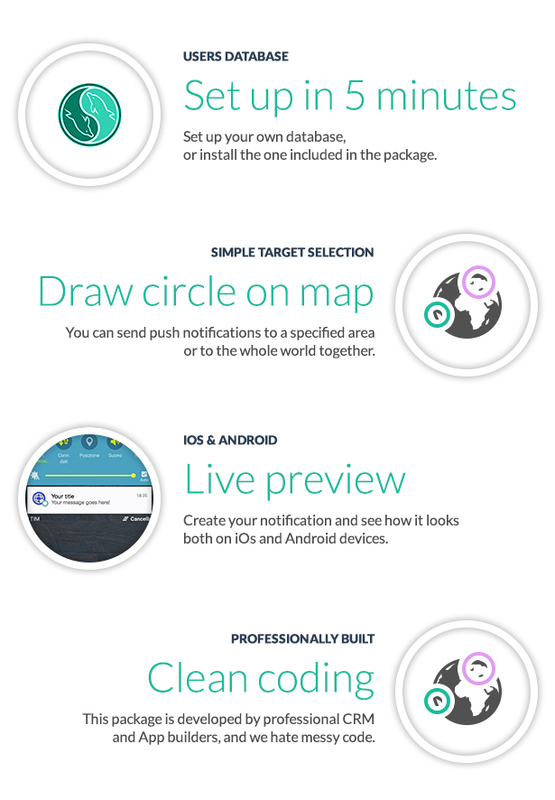 You can send push with drawing area, or all the world, iOS & Android. You have a published app and you save token id in your Database? No worry! You can use this panel with your databaase!